“Sakura of the Kingdom”, also known as “Sakura Almamlakh”‘s president Mahir Alotaiby was interviewed on Saudi Arabia TV channel 1. He talked about the naming of the group as well as the logo. Sakura Almamlakh is a Saudi group aimed to raise awareness of Japanese culture in Saudi Arabia and vice versa. They had another set of videos here. Last saturday’s “Day About Japan” event has been recorded and uploaded to youtube by Sakura of the Kingdom. Special thanks to Sakura of the Kingdom for posting the video online. Sakura of the Kingdom, a site with interest in Japanese culture in Saudi Arabia is having an event today in Riyadh called “Day About Japan”. You can find more information about the event here (Arabic). This is a video done by Japanese students in Syria. It’s called “Alhamdulillah” (in Arabic ????? ???). It’s very funny and interesting to hear Arabic spoken by non-native speakers. I hope you will find it funny and amusing as well. 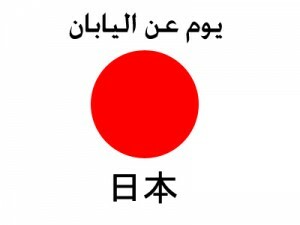 Titled “Arabic by Japanese ????? ??? ????? (Short Story)”.